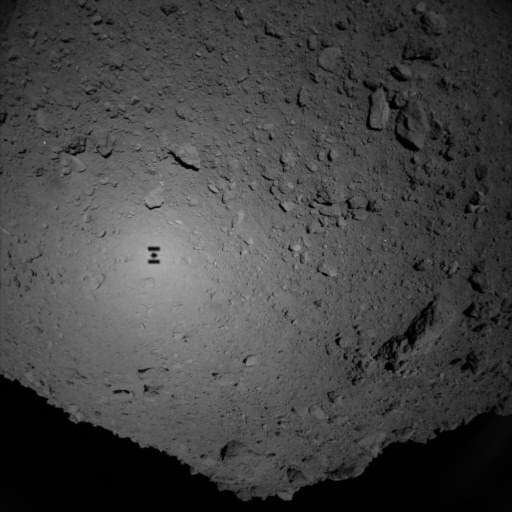 Japan’s space agency JAXA released new images today from the rovers set down on the surface of asteroid Ryugu by the Hayabusa2 spacecraft. 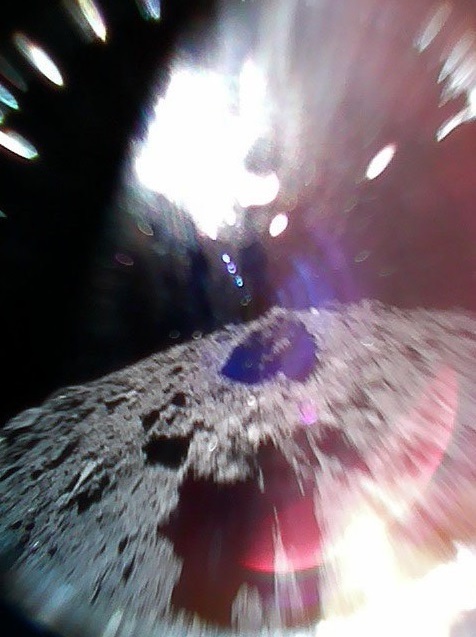 The video at top depicts the sun passing overhead as seen from the surface of asteroid Ryugu. Isn’t it amazing? It was made from images acquired by the MINERVA II-1 rover 1B, one of two rovers carried to the asteroid by the Japanese Hayabusa2 spacecraft. 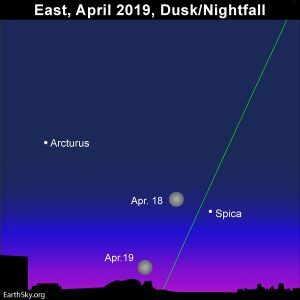 JAXA, Japan’s space agency, announced on Saturday, September 22, 2018, that two rovers had set down successfully on asteroid Ryugu, hundreds of millions of miles from Earth. It released more new images on September 27, which we’ve included on this page. Ryugu is a space rock with a diameter of less than a mile (about 1 km) and classified as a potentially hazardous asteroid, with an orbit that occasionally brings it into Earth’s vicinity. 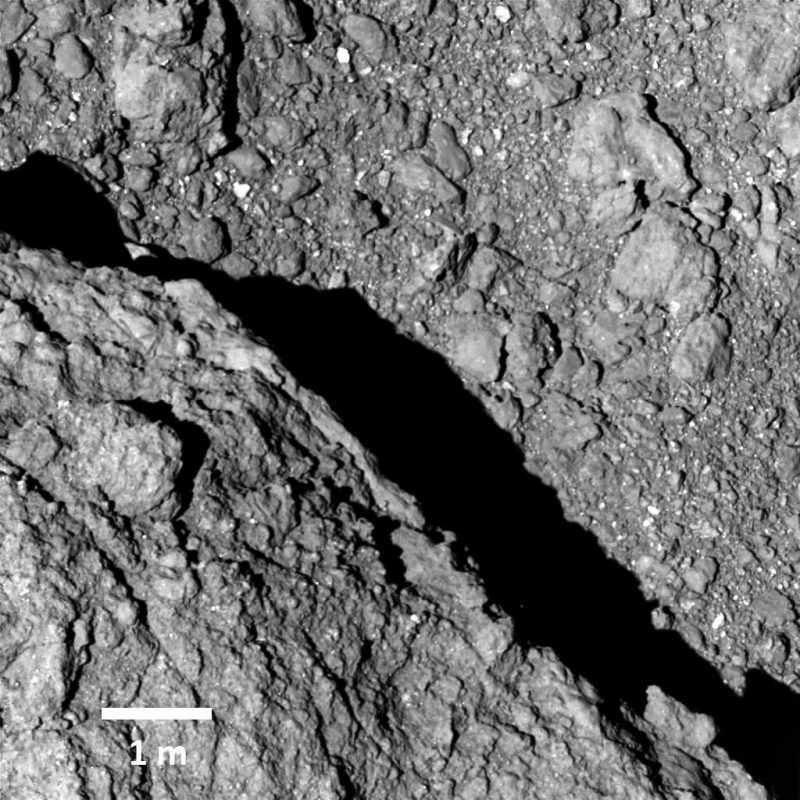 The spacecraft traveled for four years before encountering Ryugu. 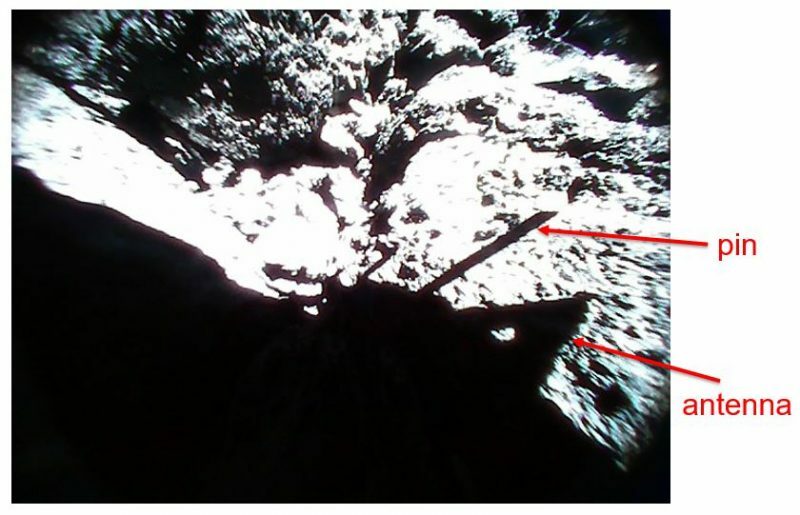 The images on this page have been released over the past week by JAXA, some taken by the rovers as they were ejected from the mother spacecraft, and others captured as one of the probes bounced or hopped on the asteroid’s surface. The encounter and release of the small rovers occurred early on September 21 at a distance of 194 million miles (313 million km) from Earth. Hayabusa2 arrived at asteroid Ryugu on June 27, 2018. Afterwards, for several weeks, the spacecraft remained at a distance of about 12 miles (20 km) above the asteroid. During the week of July 16, operations were begun to lower this hovering altitude, eventually bringing the spacecraft to less than 4 miles (6 km) from the asteroid surface. Each rover measures about 7 inches (18 cm) in diameter and has a pair of cameras and a thermometer among its instruments. In October, 2018, the Hayabusa2 spacecraft will release Mascot, a lander built by the space agencies of France and Germany. Mascot will also land on the surface of Ryugu. Images sent by the Hayabusa2 spacecraft and its rovers take more than 17 minutes to reach our planet. According to JAXA, this image shows the highest resolution so far of the surface of asteroid Ryugu. It was captured as Hayabusa2 was descending on September 21, 2018 for the deployment of the rovers. 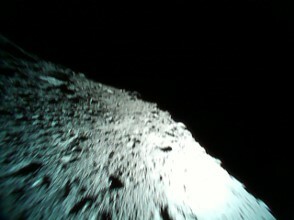 Altitude was about 210 ft (64 meters) from the space rock. Bottom left is a large boulder. Image via JAXA, University of Tokyo, Kochi University, Rikkyo University, Nagoya University, Chiba Institute of Technology, Meiji University, Aizu University, AIST). The area seen up close in the previous image is marked on these photos. 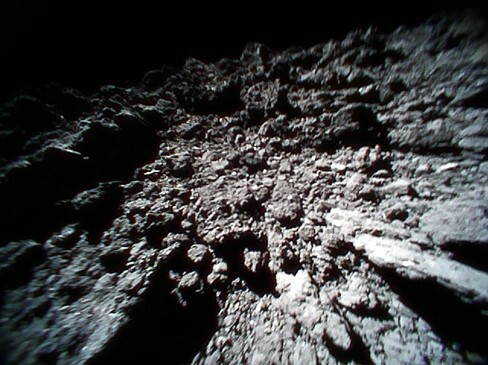 The images were taken on September 21, 2018 by the Hayabusa 2 spacecraft. Image via JAXA, University of Tokyo, Kochi University, Rikkyo University, Nagoya University, Chiba Institute of Technology, Meiji University, Aizu University, AIST). The shadow of rover 1A, including one of its pins used to rotate over the space rock surface, is seen on this image captured on September 23, 2018. Image via JAXA, University of Tokyo, Kochi University, Rikkyo University, Nagoya University, Chiba Institute of Technology, Meiji University, Aizu University, AIST). 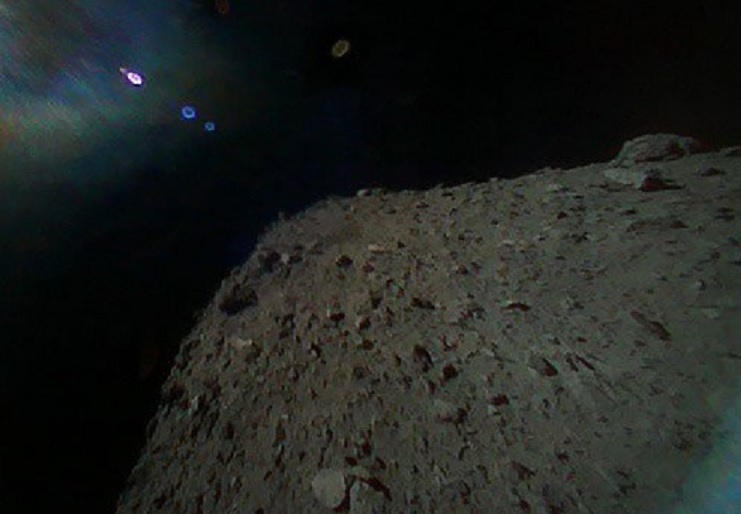 The amazing photo above was captured by Rover 1A as it was bouncing or hopping over the surface of asteroid Ryugu on September 22, 2018. The bright white region is due to sunlight, while the blue area is a distortion, also caused by sunlight. Image via JAXA/Hayabusa2. Rover-1B acquired this image on September 21, shortly after separation from the spacecraft. 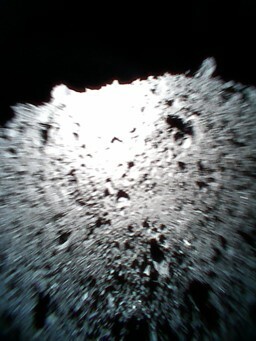 The photo shows the surface of asteroid Ryugus as seen from about 180 feet (55 m). 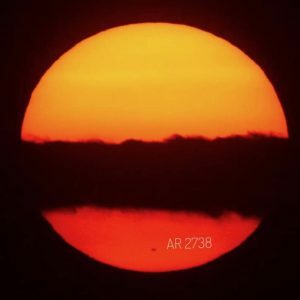 The misty top left region is due to the reflection of sunlight. Image via JAXA/Hayabusa2. 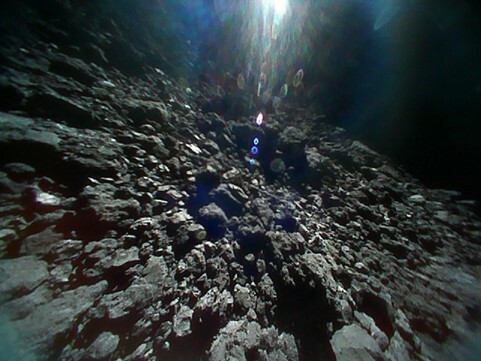 This spectacular photo shows asteroid Ryugu as well as the spacecraft shadow visible on the surface, as Hayabusa 2 was descending on September 21, 2018, to release the pair of rovers. 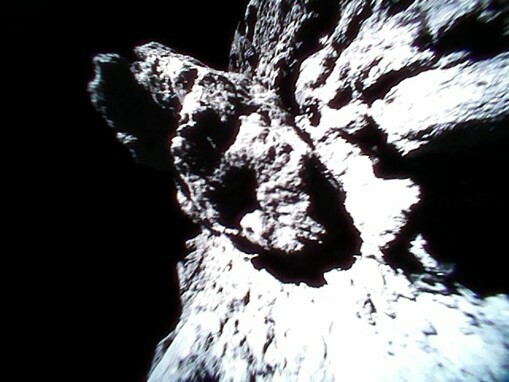 The image was taken from about 443 feet (135 meters) from the space rock. Image via JAXA/Hayabusa2. Small rovers (MINERVA-II) via JAXA. 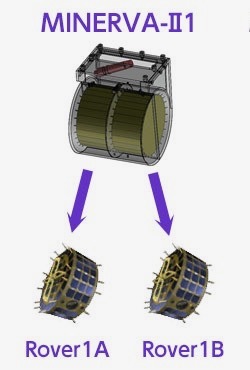 According to JAXA, the MINERVA-II rovers were released from an altitude of about 180 ft (55m). They look more like cylinders or robotic wheels than the jeep-like rovers we see on Mars. 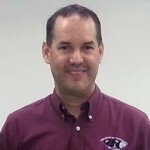 They use capacitors and small solar cells for power. Although the mission will measure Ryugu’s gravity, it is estimated to be some 60,000 times weaker than Earth’s gravity. That’s why, instead of roving over the surface of Ryugu, the rovers will hop and rotate over the surface, which is a wise design for exploring the huge asteroid despite its weak gravity. 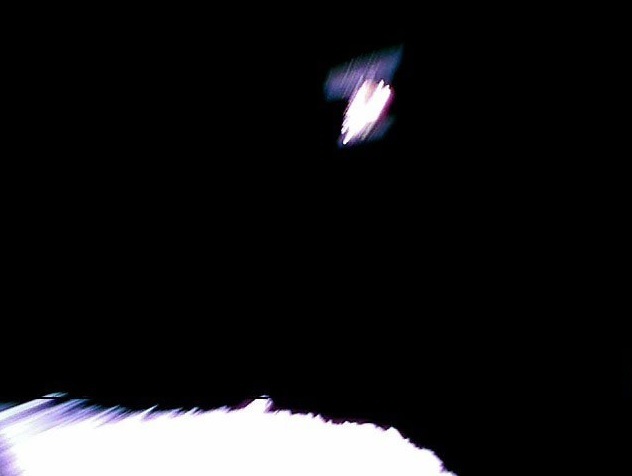 Although this image is blurred because the rover was spinning, Hayabusa2 is seen above asteroid Ryugu on this photo taken by rover 1A shortly after it separated from its mother spacecraft (Hayabusa2), on September 21, 2018. Image via JAXA/Hayabusa2. The Hayabusa2 spacecraft was launched on 2014, and arrived at the huge asteroid after travelling some 2,000 million miles (3,200 million km). The spacecraft will be studying Ryugu until December, 2019, when it is expected to start traveling back to Earth with collected samples from the asteroid surface, to be analyzed by scientists in laboratories. The return capsule with samples will plummet back to Earth one year later, on December, 2020. 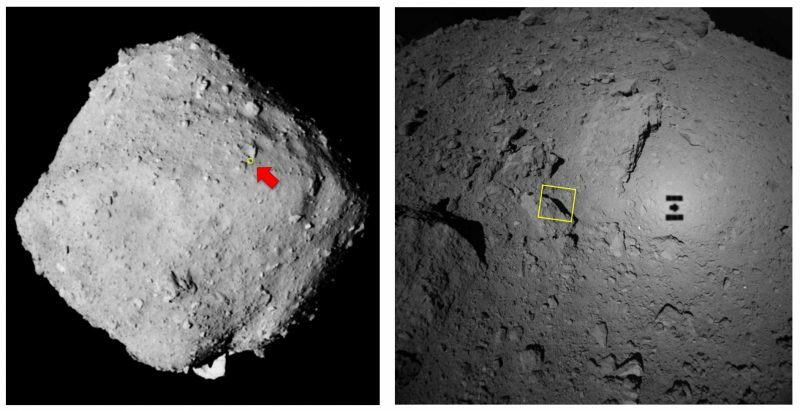 Bottom line: Japan’s space agency JAXA released new images on September 27, 2018 from the two rovers set down successfully on asteroid Ryugu by the the Hayabusa2 spacecraft. See the images here.